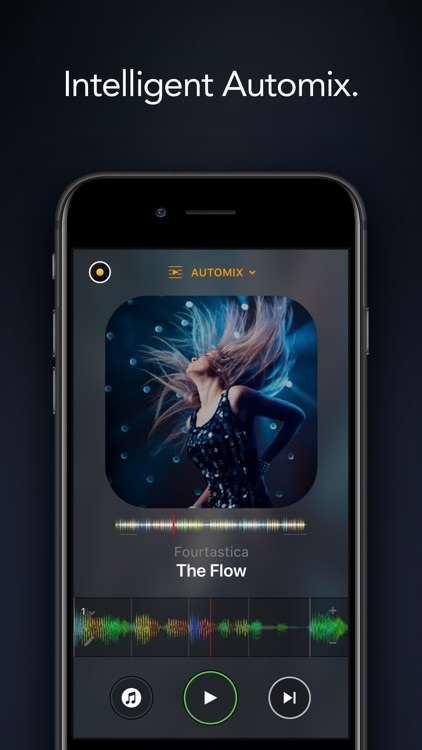 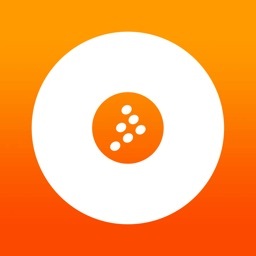 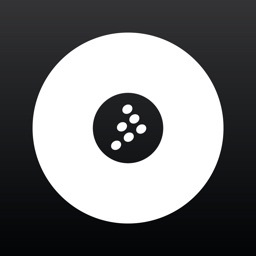 Djay Free for iPhone gives you single deck mode, a cue point trigger, and a playlist shuffle for up to 25 songs from your library. 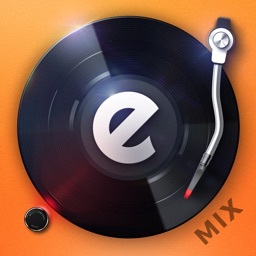 Other features include mixer, tempo, and EQ controls along with multiple audio format types. 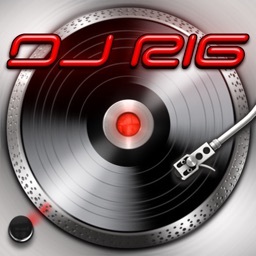 Ready to rock your next party? 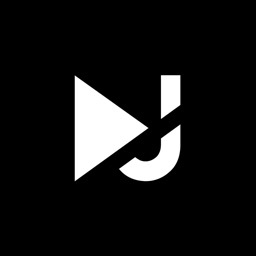 Introducing the all-new djay: now with live music production tools, enhanced Spotify integration, Automix AI, music visualizers, and countless new features. 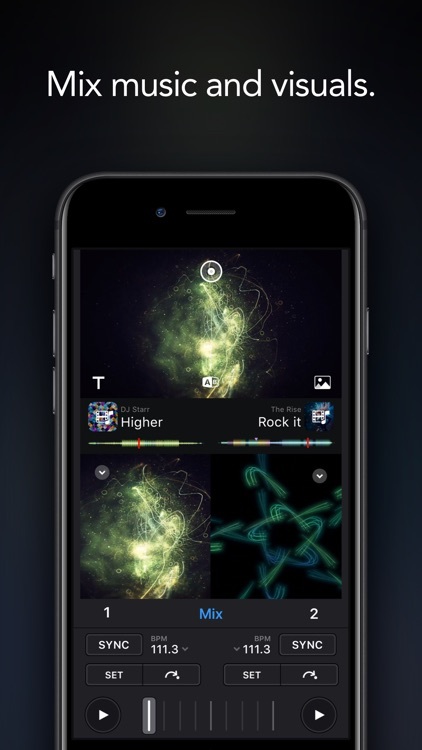 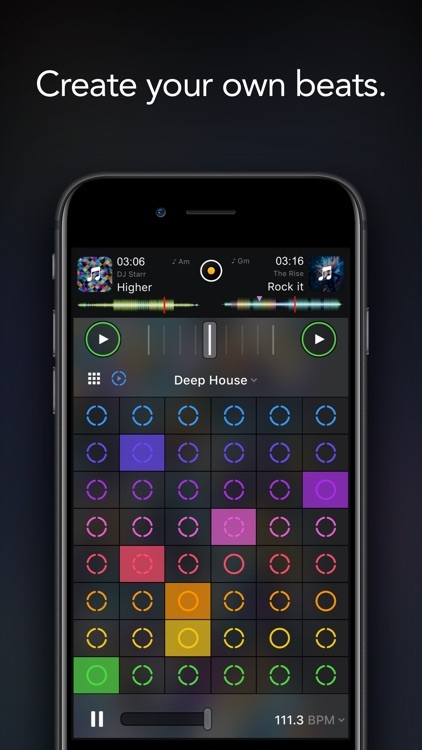 djay transforms your iOS device into a full-featured DJ and music production system. 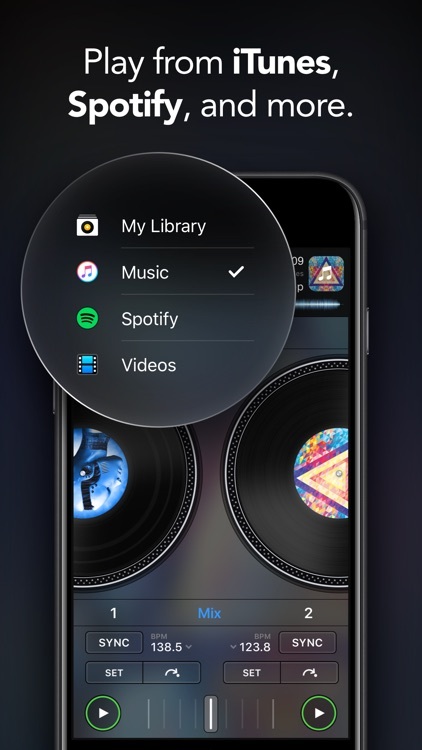 Seamlessly integrated with your music library and Spotify, djay gives you direct access to millions of songs. 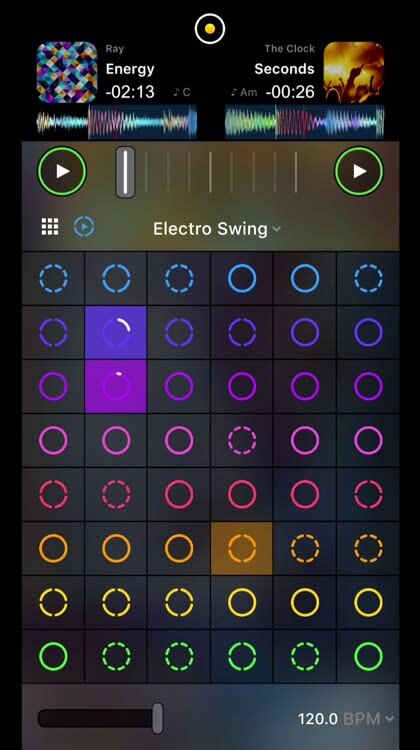 You can perform live, remix tracks, or enable Automix mode to let djay create a seamless mix for you automatically. 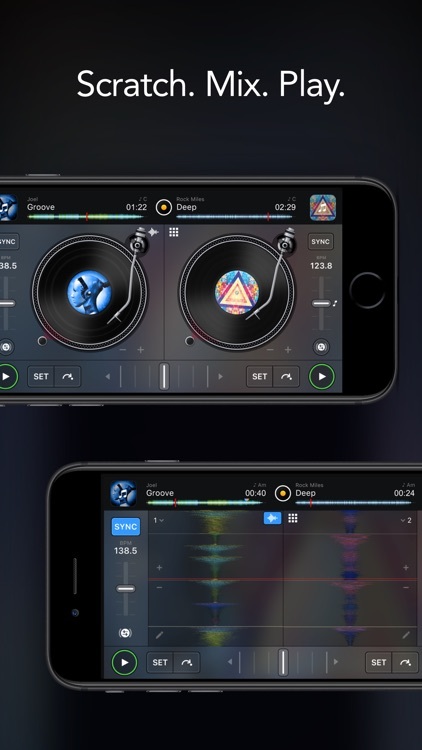 Whether you are a professional DJ or a beginner who just loves to play with music, djay offers you the most intuitive yet powerful DJ experience on an iPad or iPhone. 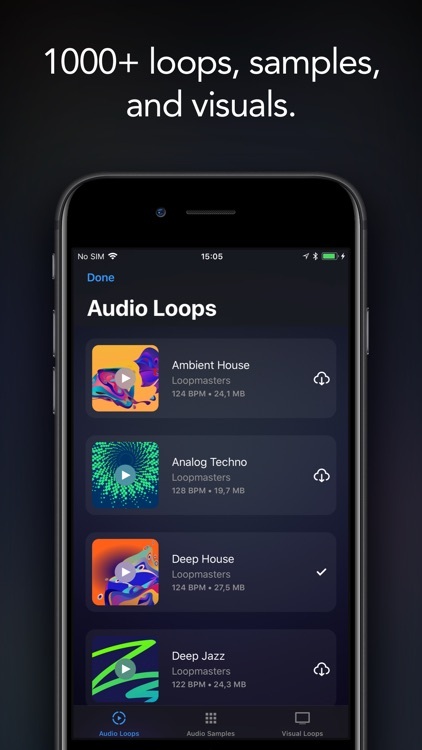 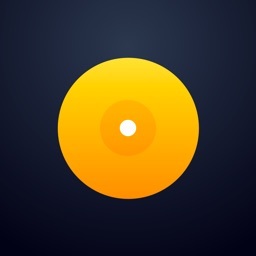 • Extensive content library with hundreds of loops and samples. 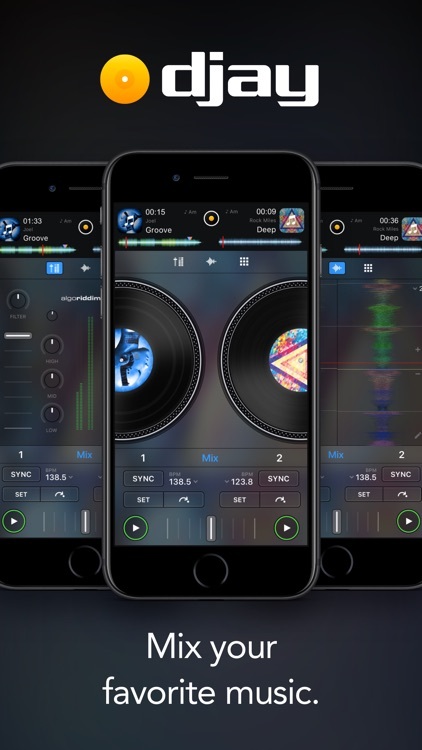 djay is compatible with any iPhone or iPad running iOS 11.2 or later.